Hello! Welcome to the Back-to-School, Part 1 Week! :) Andrew starts school this week!! But before we get on that topic, let's take a look back at what happened last week, shall we? 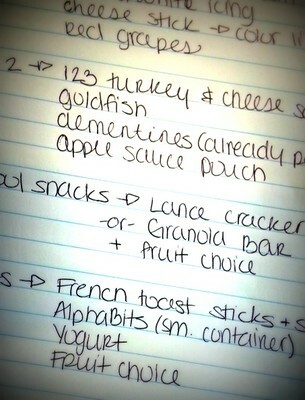 But, I did plan out the boys' lunches/snacks for the first full week of school. So that is something. We did head out and got some coffee creamer (and by some I mean 3 huge things so we wouldn't have THAT again...) after breakfast - thank goodness! 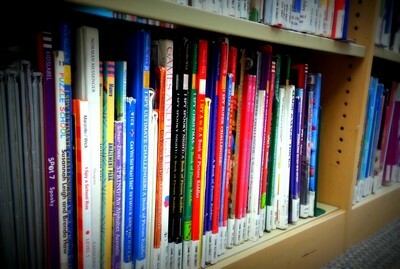 We also ran to the library for some book hunting. Tuesday was "Meet the Teacher Day" for Andrew! YAY!! He is so excited about his new classroom! 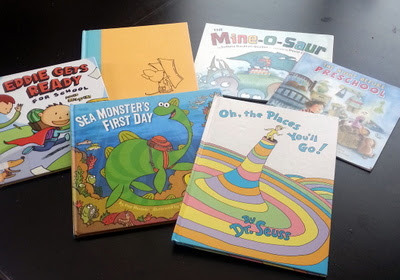 After lunch, we headed home to get out some back-to-school books and get a few to-do's done. Clean up that stinkin' hall closet that is filled to the top with puzzles and games! What do you think? 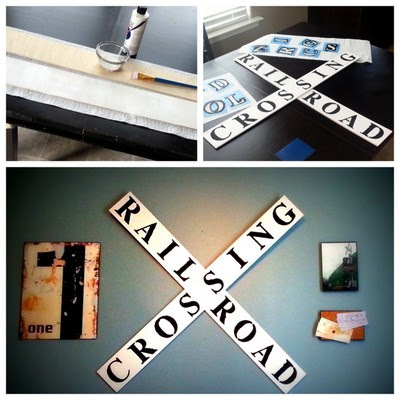 They boys are still so excited that I made them a railroad crossing sign for their room! 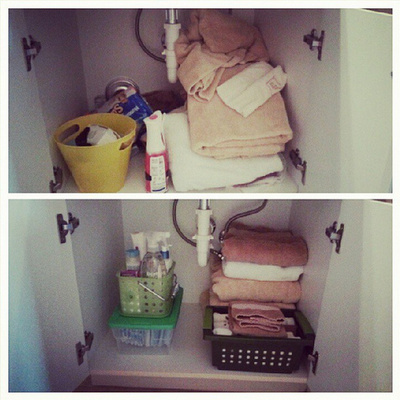 Just a few more small things to add and their room will be 100% DONE! We did this project while Alex was napping, so when Andrew and I got to the drying stages we ran out to grab the mail. 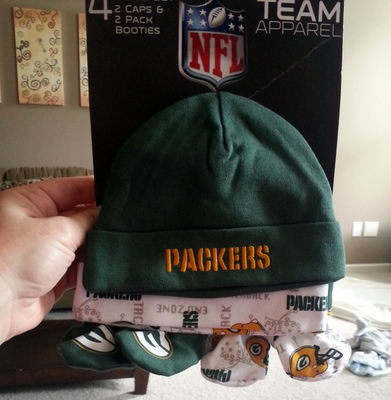 Look what came for Austin! Awesome. 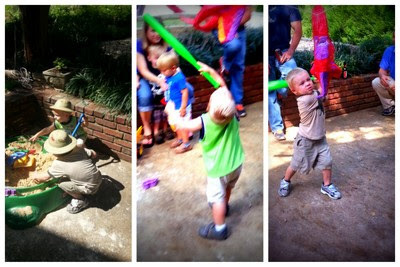 Gotta love fun things from Zulily! Working hard on his school work. 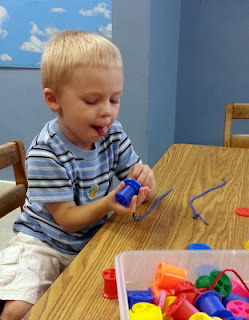 He had to count how many of each shape he would find, then write the numbers. He did a great job! Guess what we FINALLY did...?! HELLO! We FINALLY painted Austin's room! YAY!! The color is called "Mineral Deposit" from Sherwin-Williams. I love it! Now, I can really finish up this room. YAY! While, the paint was drying, I was able to get a few things from the attic that I knew I had saved...like my baby bjorn and the pack-n-play (that has the bassinet/changing table parts). But, guess what my husband found! HAHA!! Apparently, I only saved the essentials in case of a new baby! Too funny! Yep. 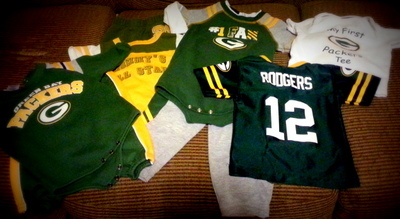 All Packers things ranging from 3 months to 18 months. That. Is. Hilarious. My hot Sunday night date...with my planner, massive lists, and a fun drink sans the much-needed/wanted rum LOL It's orange juice, sprite zero, and pink lemonade. Jason had some then said, "We need some brandy." Haha! It was pretty good, even if it wasn't a "real" fun drink. 1. 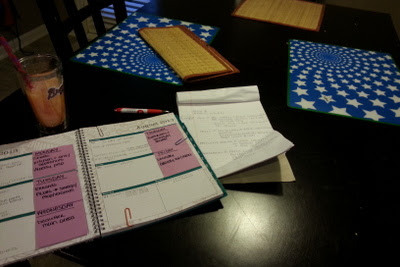 Work on schoolwork on off-days after breakfast Done! 4. Wake up at 530 am...fun! (Though, it really isn't all that bad. This will be the 3rd week in a row now) Happy to report that I am now waking up BEFORE the alarm clock! Ha! 5. 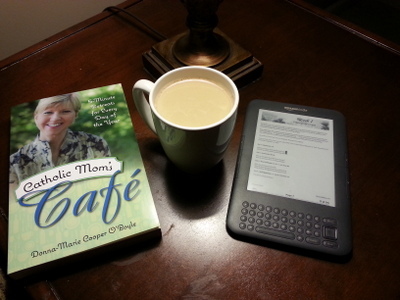 Read Catholic Mom's Cafe, A Catholic Mother's Companion to Pregnancy, and Glorious Grace (part of the Hello Mornings Challenge) in the morning It is so wonderful to have the mornings start like this. 6. 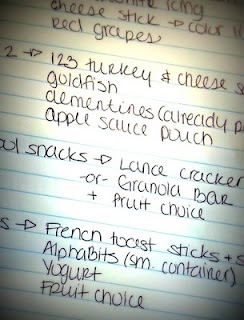 Begin gathering items for hospital bag with the thing that are ACTUALLY needed/used (some of these lists are ridiculous, people... Who puts these things together? Not REAL moms that's for sure). This is only partly done. I did get most of the things set aside, but not all. 7. Crafting: Football scarf from old Packers shirts of mine (similar to this) / Make train Crossing sign for boys' room The Packers scarf is just hanging out for the moment. I have the materials and such set aside. Maybe this week. But, I did finish the train crossing sign!! 8. 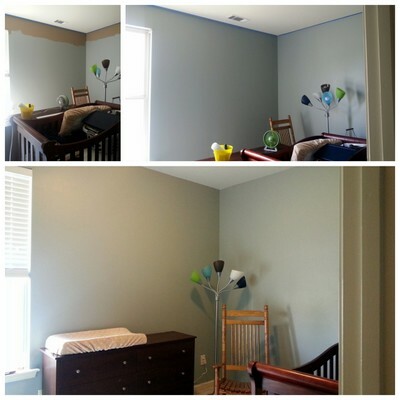 Do: Paint Austin's room...for cryin' out loud! It's is supposed to be the perfect weekend for this - keep your fingers crossed! OH. HAPPY. DAY!! The room is FINALLY painted!!!! 9. 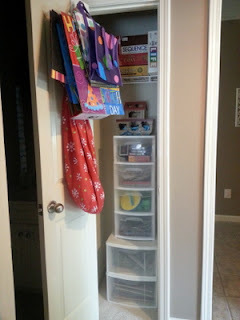 Organize: Hall closet and under boys' bathroom sink / Go through scrap fabric stash for smaller projects for Austin Done, done, done! Now to decide on those smaller projects. I have a list. Just not sure what all I want to make. 4. Rise and shine! Waking up at 5:15 now due to school this week. 5. Keep reading through Catholic Mom's Cafe, A Catholic Mother's Companion to Pregnancy, and Glorious Grace in the morning. 6. Finish up getting hospital bag together. 7. Crafting: Start working on football scarf / If fabric comes in this week for Austin's quilt, then I hope to start on that, too. Did I wear anyone out with all of this yet? Well, it's not going to slow down anytime soon, that's for sure! 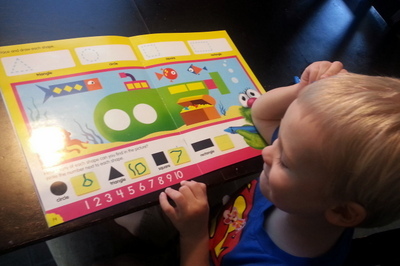 Andrew starts school in the morning, so be on the lookout for a fun post about him tomorrow!